Sat., June 23, 2018, 5:08 p.m.
SONOMA, Calif. – Kyle Larson proved again that he knows his way around Sonoma. 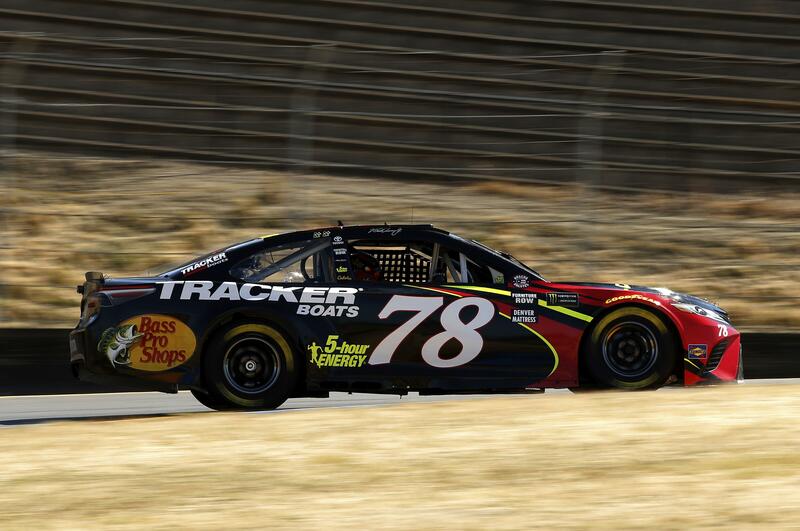 STEADY TRUEX: The defending Cup Series champion remains dependable in qualifying. Truex has 11 starts in the top 10 this year, with three poles and five front-row starts. He finished in the top 10 at Sonoma for the sixth time in 13 career races. LEADERS CLOSE: Kevin Harvick finished sixth in the fastest Ford on the grid. Cup Series points leader Kyle Busch will start ninth. DINGER DINGED: A.J. Allmendinger typically excels on road courses, and he led qualifying after the first round by turning a lap in 75.828 seconds. Larson beat that time in the second round, and Allmendinger qualified in fifth after failing to match his first-round time. ROOKIE WORK: William Byron was the highest-qualifying rookie in eighth. The youngster spent several hours in the simulator to prepare for the Sonoma course, but that’s no surprise: Even Larson used the simulator to learn more about the finer points of the track. Published: June 23, 2018, 5:08 p.m.